It was just two weeks ago that Lobo was revealed as the first DLC character for NetherRealm Studios’ Injustice: Gods Among Us. Today, the company has debuted the first footage of the next playable character, Batgirl! An announcement on her launch date and the “Killing Joke” skinpack is still forthcoming but expect them to launch sometime this summer. Like Lobo, Batgirl is included when the “Injustice Season Pass” is purchased. The season pass is available for $14.99/1200 Microsoft points. “Gods Among Us” debuts as a bold new fighting game franchise that introduces a deep, original story featuring a large cast of favorite DC Comics icons such as Batman, Cyborg, Harley Quinn, Nightwing, Deathstroke, Solomon Grundy, Superman, Lex Luthor, The Flash, Green Arrow, Wonder Woman, Green Lantern, Aquaman, Bane, Catwoman, Shazam, Black Adam, Raven, the Joker, Doomsday, Killer Frost, Ares and more. Set in a world where the lines between good and evil are blurred, players will experience heroes and villains engaging in epic battles on a massive scale. 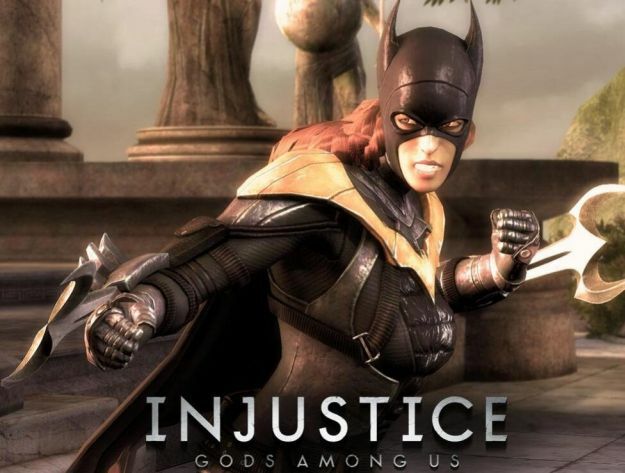 Injustice: Gods Among Us is available now for PlayStation 3, Xbox 360 and Wii U. You can read our review by clicking here.